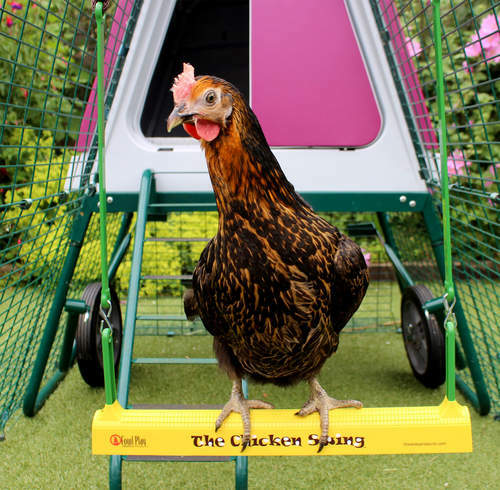 Following its huge success in the USA, the Chicken Swing has finally landed at Omlet, and it's ready to bring fun to all our feathered friends. 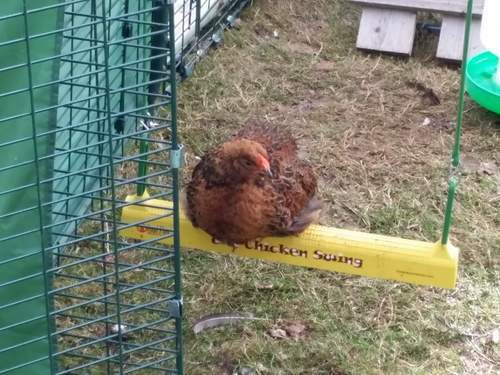 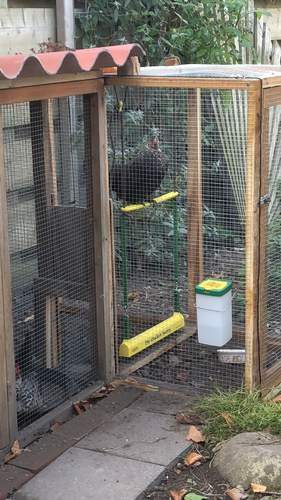 All chicken keepers know that birds love to perch and they will hop on to anything they can lay their feet on to give them a good view of the world. 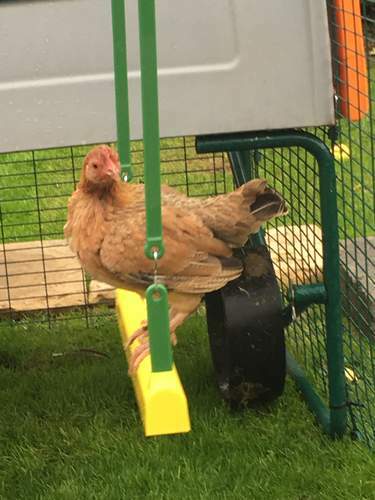 The Chicken Swing provides more than just a place to perch though - it actually swings! 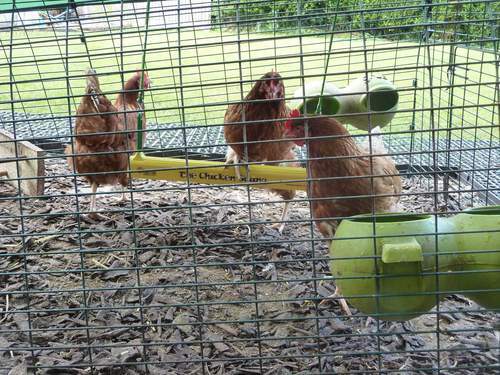 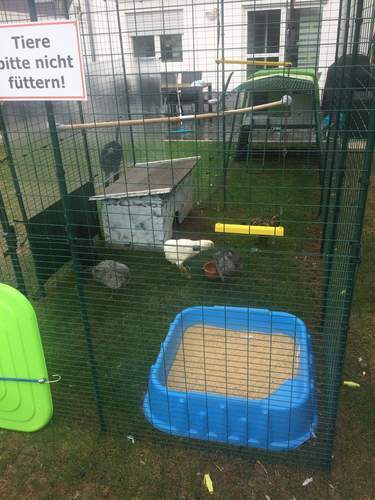 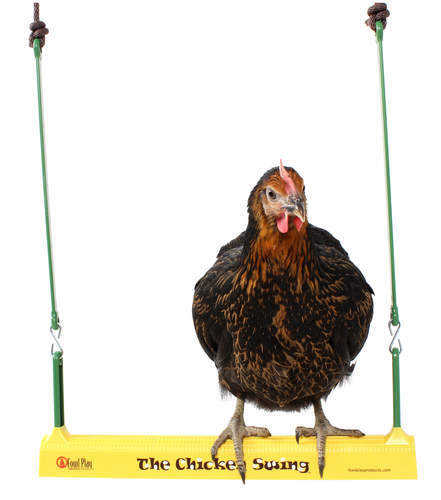 The patented design allows chickens to pump the swing themselves, with no need for a friendly push from the owner. 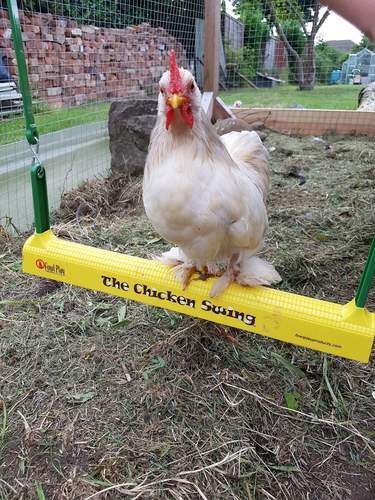 Shaped like a mailbox, with a corn-like texture for grip, the Chicken Swing allows chickens of all types and ages to torque the perch. 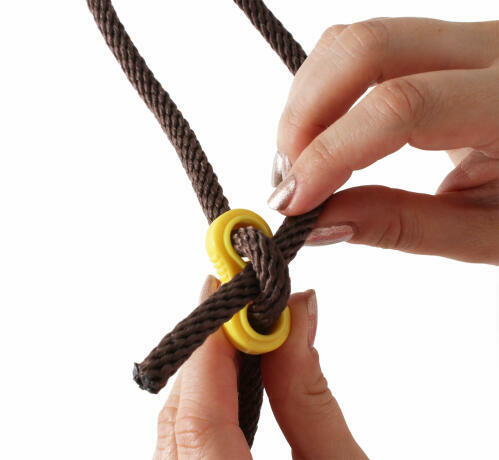 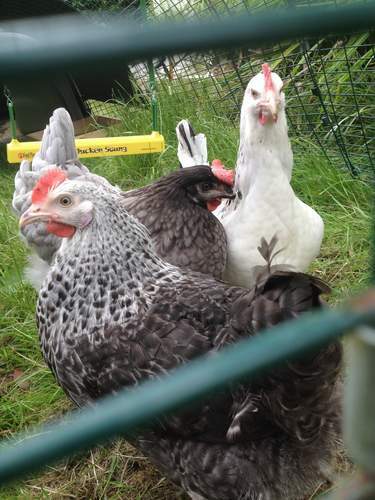 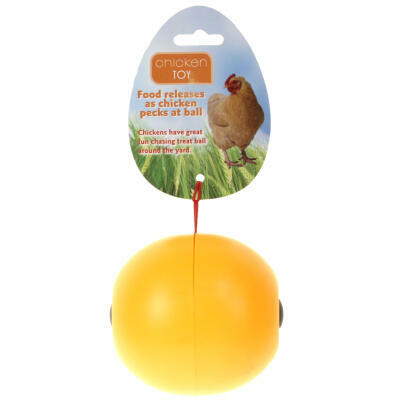 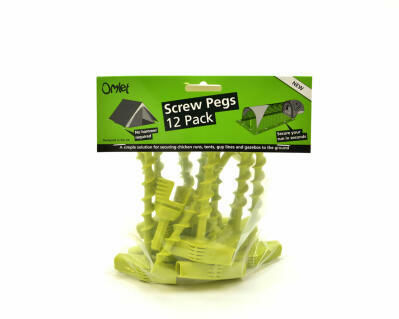 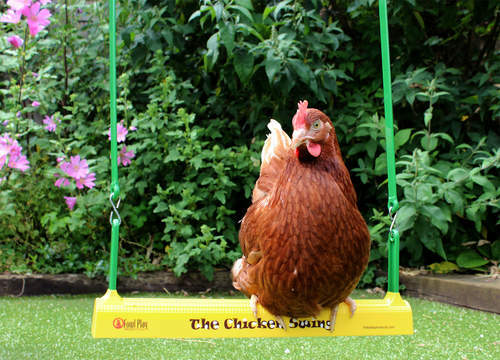 Quite simply, your hens will be swinging themselves silly in no time. 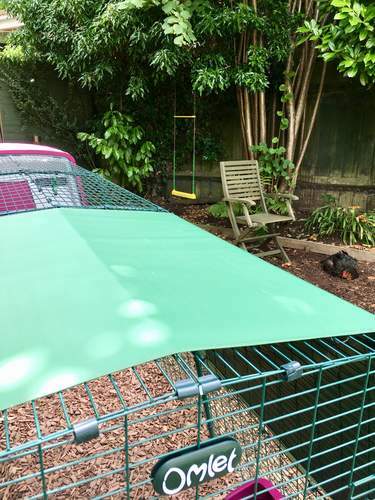 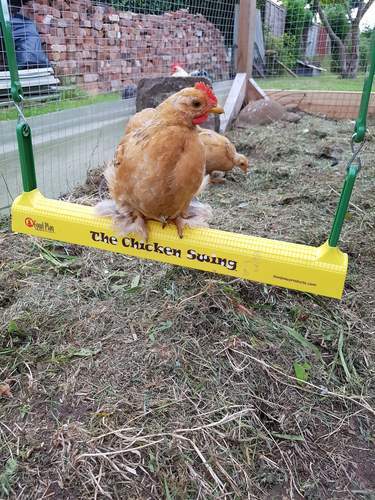 Ideal for hanging in any chicken coop, enclosure or chicken run, the Chicken Swing will reduce boredom and keep your pets hentertained. 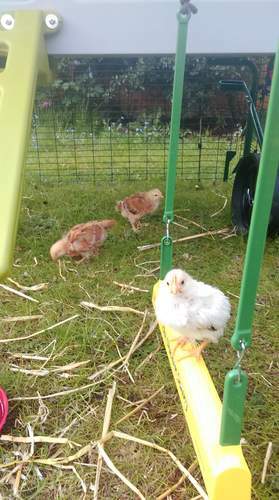 They'll love being able to hop up as they please, stretch their wings and swing back and forth above their pals. 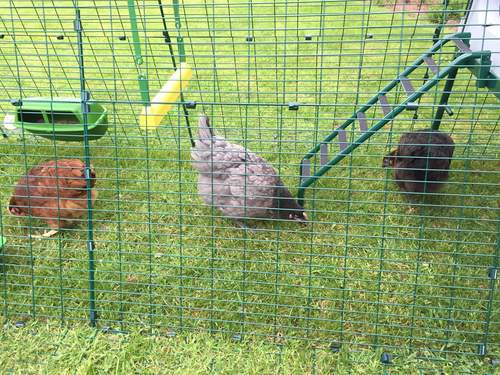 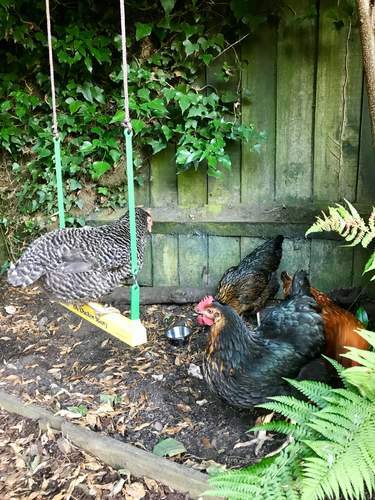 Synchronised swinging is also very much acceptable, should your chickens decide to share their new toy. 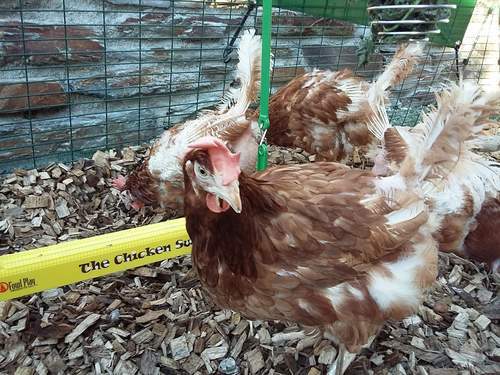 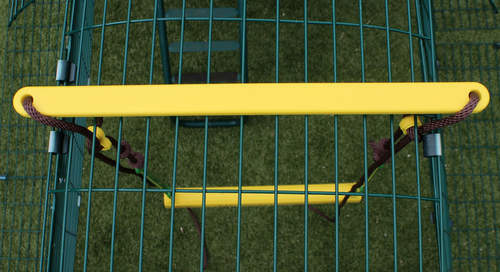 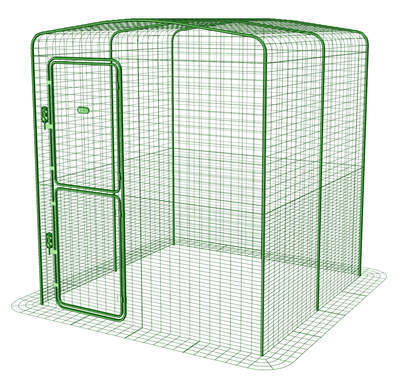 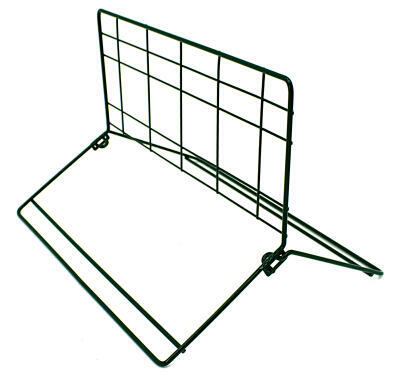 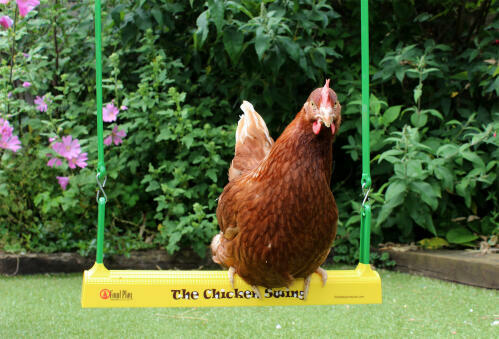 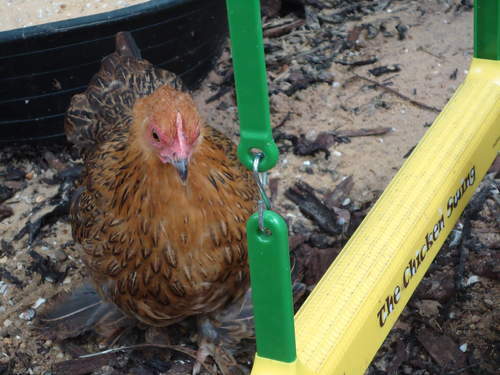 Made from safe quality parts that are built to last, the Chicken Swing is suitable for poultry of all ages and breeds. 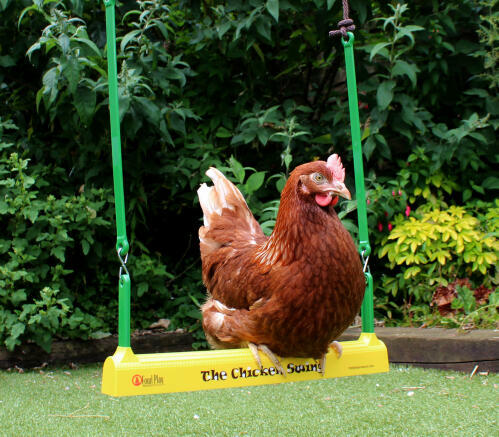 Although it is best to introduce chickens to the swing when they are young, adults will soon get the hang of it too. 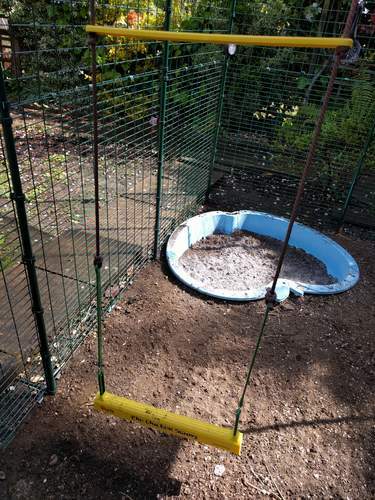 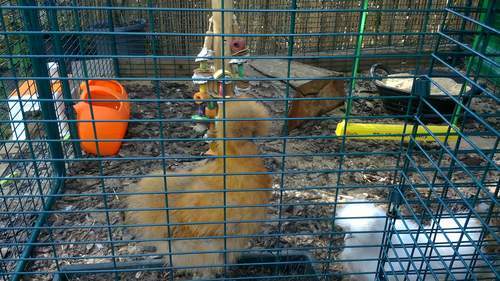 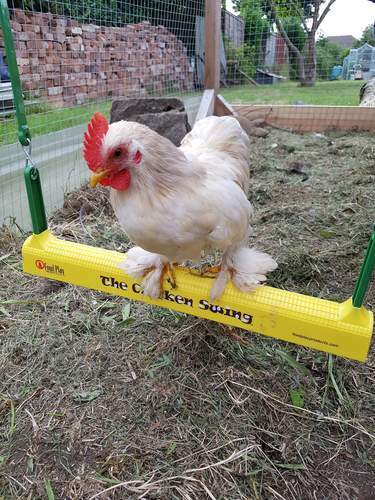 Attach the Chicken Swing so it hangs close to the ground, and as your chicks or chickens get used to climbing on, increase the height. 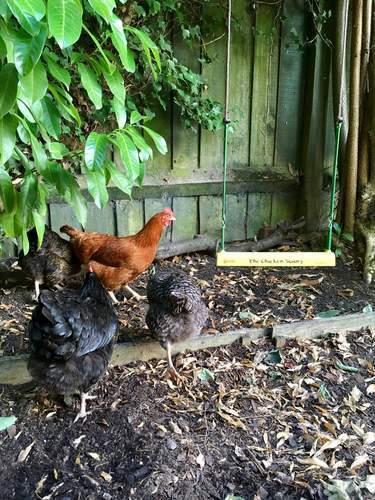 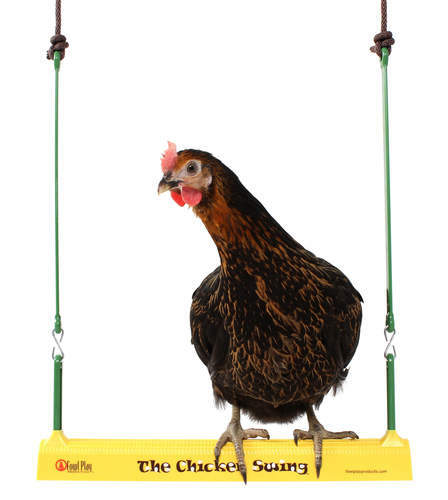 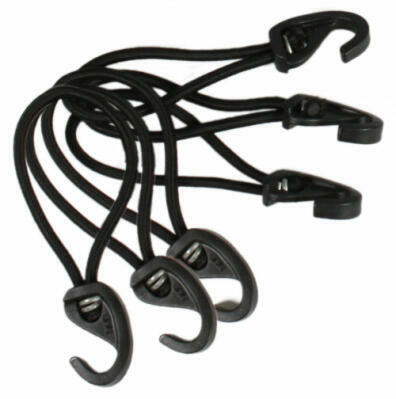 The Chicken Swing ropes can be adjusted up to 6ft. 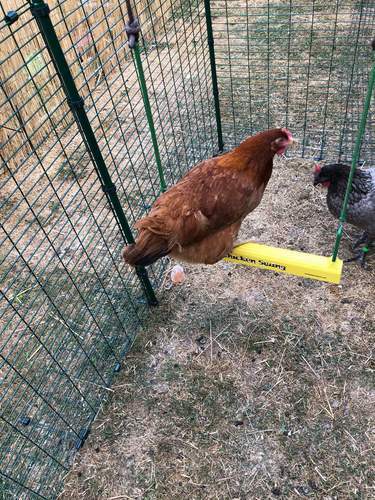 Eventually, you will want it hanging high enough so as not to be an obstacle to any hens on the ground. 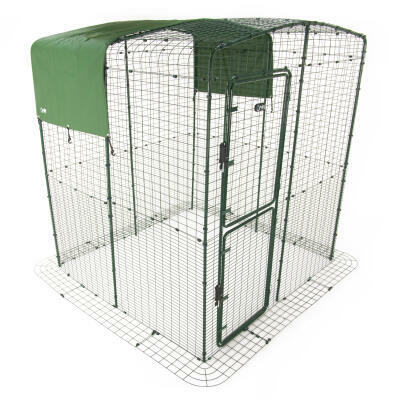 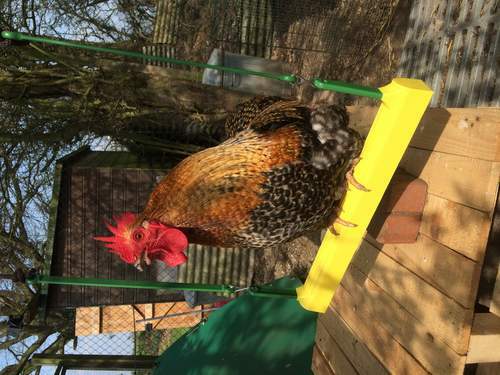 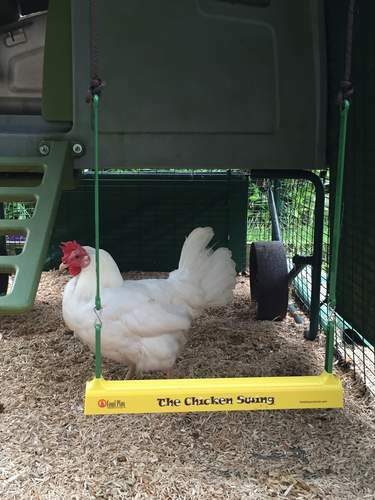 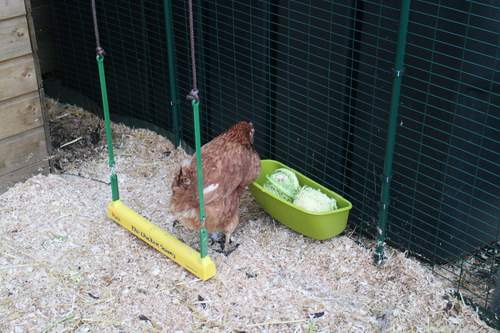 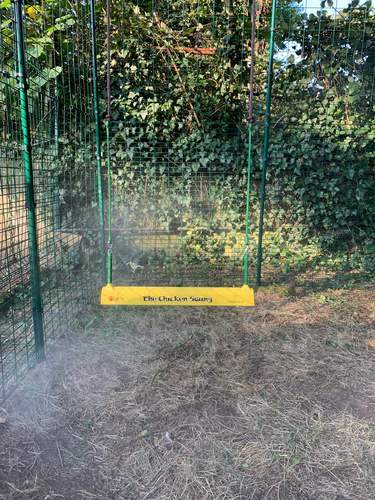 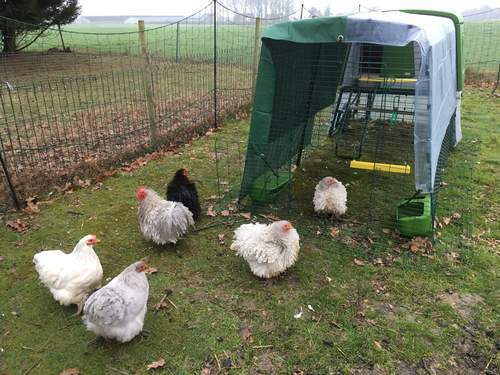 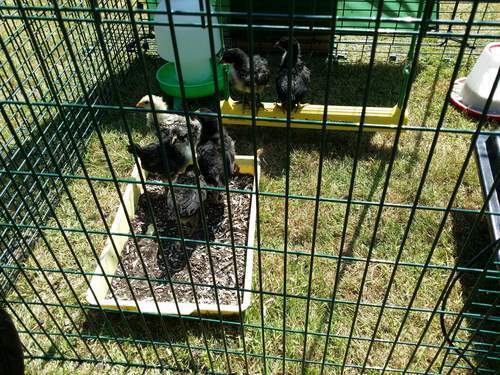 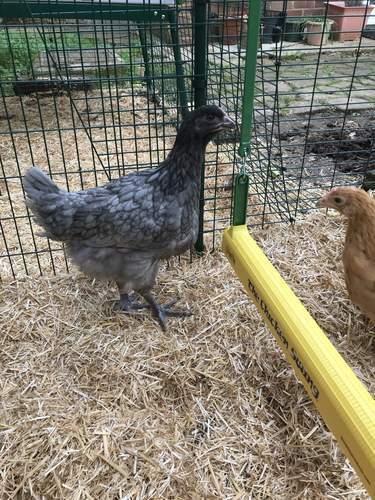 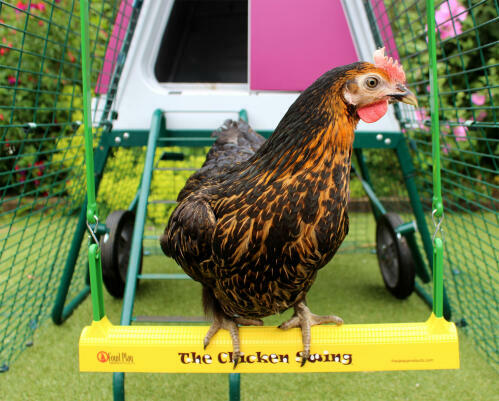 The Chicken Swing is is a fantastic accessory for every chicken keeping area, and you are sure to henjoy watching your pets in action as much as they enjoy using it. 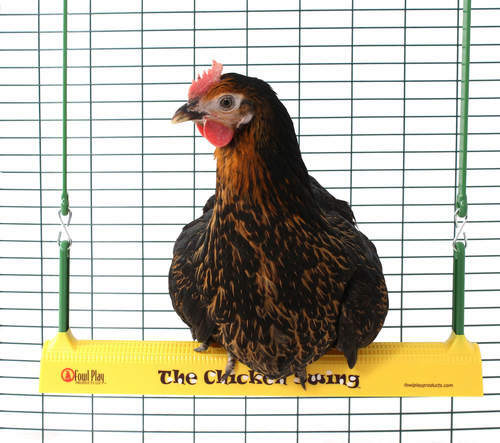 Perch measures 16.25" in length.